When the internet collectively agrees that a beauty product is amazing, you can take it as truth. 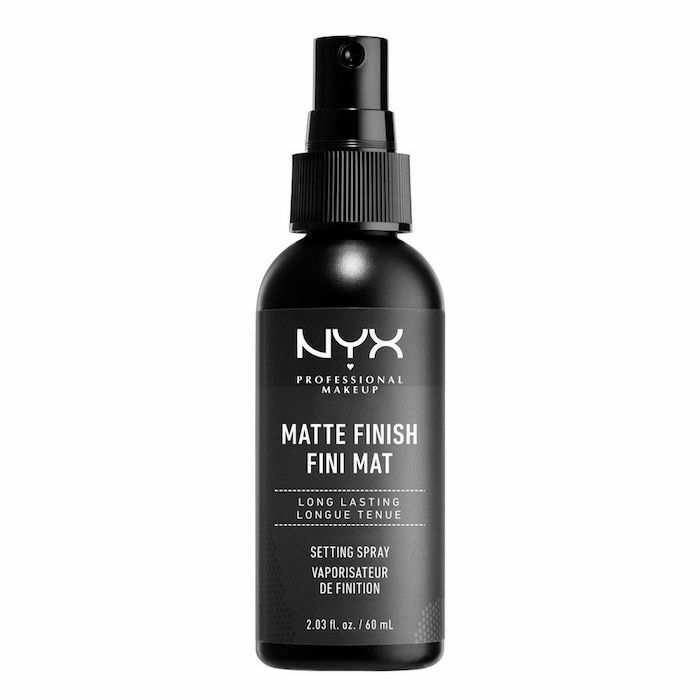 Seriously, we can't remember a single time that a viral product has let us down, which is why we will be purchasing the Nyx Professional Makeup Setting Spray ($8) immediately. What's so special about this particular setting spray, you ask? Well, it's been a brand favorite for a while, thanks to the insane staying power and subtle matte finish it provides. But now, thanks to a rather unique customer review found online, it's blowing up in an echo heard 'round the web. Aside from the long-lasting and effective formula, this setting spray owes its ubiquitous online presence to a woman named Sofia. She waxed poetic about the product in the review section on Ulta's website. "I was hit by a car and through the hit itself, the rain, the ambulance ride, and the hours in the hospital my makeup stayed completely intact the entire time," she wrote. "When I was discharged from the hospital I had to take off my makeup and none of it had moved. if this setting spray can survive being hit by a car then that's all the proof I need and I'll definitely be buying it again." The review, though unorthodox, is clearly effective. Since then, it's been reposted on Instagram, Twitter, and just about everywhere else. It's also worth noting that according to Health, this setting spray also has thousands of five-star reviews on Amazon. One user comments "This changed my life! It is just amazing! I'm a waitress, constantly surrounded by food, always sweaty from running around, and I NEVER get a shiny forehead with this stuff! My eyeshadow doesn't move! I mean this is just amazing!" She follows up her review with the only two words you need to hear: liquid magic. In other words, Sofia's story checks out; this stuff works. Next up, read about Kendall Jenner's beauty routine, including which products she uses and how long it takes her.